A nice book for baptism or wedding personalized as you wish! Large printed Mill located in the center of the cover page on white embossed. With choice printed on the mill and/or tabs. It is also possible to wish a smaller mill and embellished with stars or clouds guard page (refer to the polls). 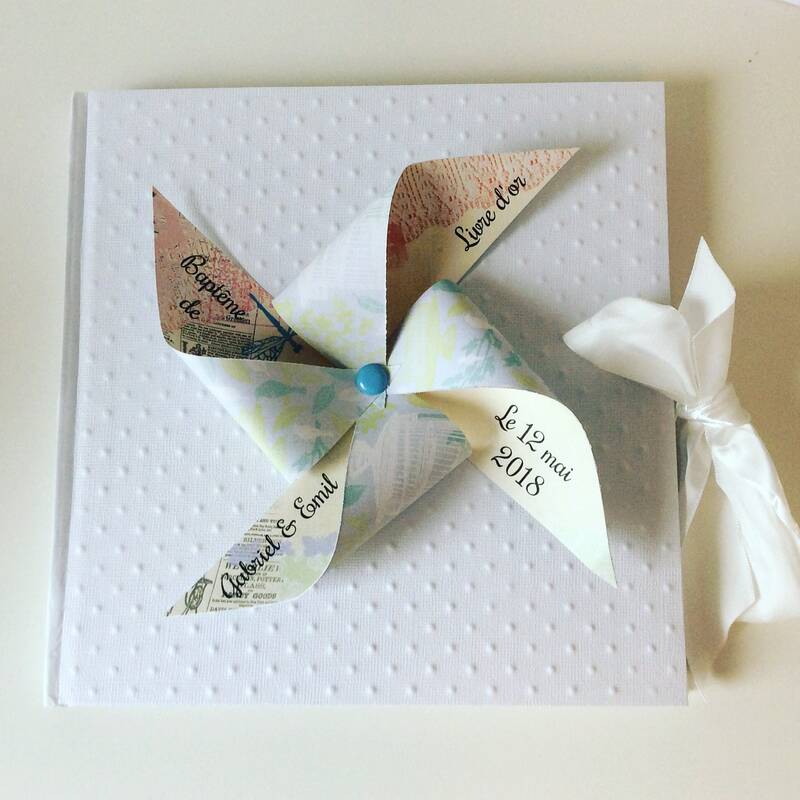 Guest Book: size 20x20cm with pages front and back cardstock with 50 pages. 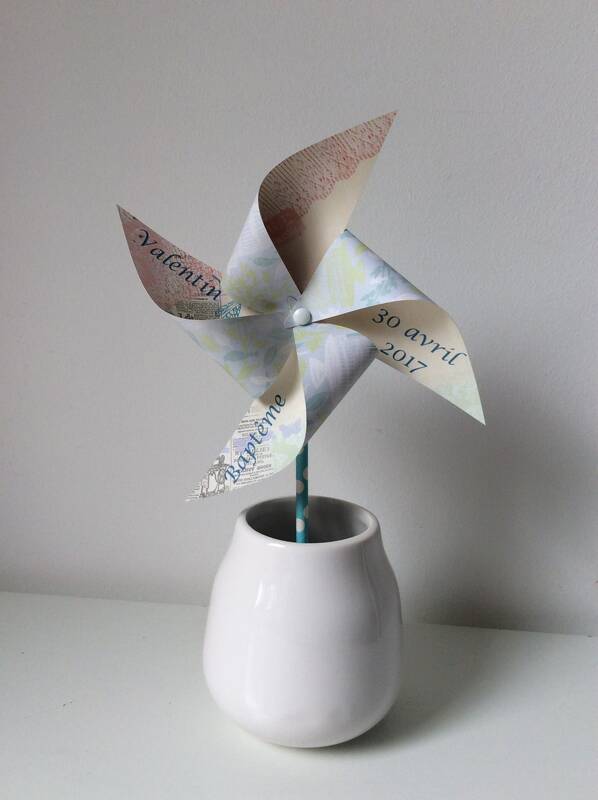 All colors available in the category "decos pinwheels" are available for gold books. Here windmill in pastel shades of blue, yellow & green patterns & colours.